In his career spanning nearly 27 years, Nagarjuna has experimented with both mass and few other distinct roles to impress all sections of the audience. Shiva and Geethanjali were a major turning point in his career, but ever since he acted as Annamayya in K Raghavendra Rao’s film of the same name, Nagarjuna has become one of the most sought after heroes among the contemporary actors to don such roles. Later, films like Sri Ramadasu and Shirdi Sai cemented this sentiment. 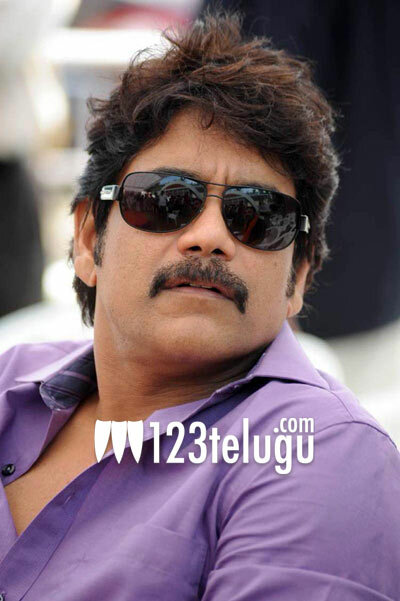 In his recent film, Dhamarukam he played a devotee of Lord Shiva and now, Nagarjuna is playing Lord Shiva himself. Nagarjuna will soon be seen as Chandaludu, who’s considered to be an incarnation of Lord Shiva, in J K Bharavi’s upcoming film Adi Shankara. According to the legend, Chandaludu confronts Adi Shankaracharya to test the latter’s devotion. Impressed with his devotion and goal, Chandaludu blesses Shankaracharya. It’s one of the most crucial episodes in the story and Nagarjuna is said to have done a great job as Chandaludu. Interestingly, the scenes featuring Nagarjuna have been shot in Sarathi Studios by K Raghavendra Rao. Kaushik is playing the lead role as Aadi Shankaracharya. Apart from Nagarjuna, the film also boasts of voice over by Chiranjeevi and Mohan Babu, Sri Hari have done crucial roles. Nag Srivats has scored the music. The film’s audio will be launched soon.